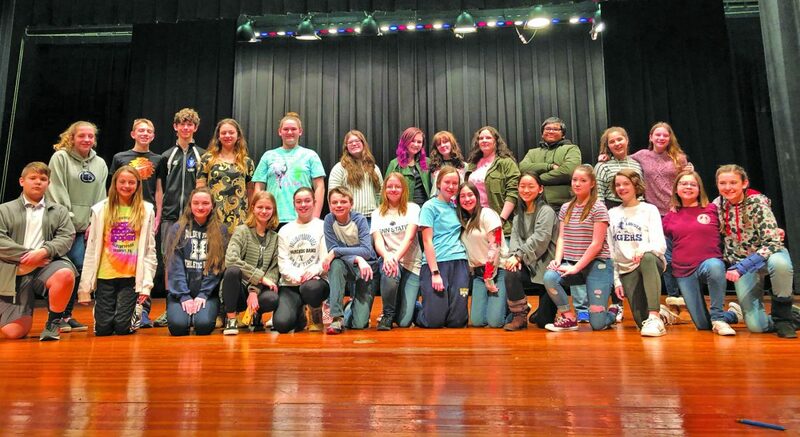 The Hollidaysburg Area Junior Theatre will present Disney’s “The Little Mermaid Jr.” at 7 p.m. Friday and Saturday and 2 p.m. Sunday in the Hollidaysburg Area Senior High School auditorium. Tickets are available at the door and are $8 for adults and $6 for students and senior citizens. The story centers around Ariel (Orphie Hartman), a mermaid, who wants to escape the confines of sea life and explore life on land. She is especially interested in pursuing this path when she falls in love at first sight with Eric (Owen Bender), a prince on land. Since Ariel’s father Triton (Safwaan Ahmer) refuses to let her experience life on the land, Ariel decides to take matters into her own hands by enlisting a little help from the evil sea witch and Triton’s nemesis, Ursula (Noelle Shenk) and her eels, Flotsam and Jetsam (Evelyn Tang and Sarah Huang). Join Ariel and her friends, Flounder (Isabelle Melito), Sebastian (Baret Monahan) and Scuttle (Marian Stephens) in this memorable story, filled with great music. The musical is under the direction of Holly Mercer with musical direction by Kelly Hartman.